You could be forgiven for thinking of green chemistry as something of a contradiction in terms. But with heavy industry among the world’s biggest polluters, finding sustainable, clean working methods has become a necessity and thus a primary goal for many governments, notably Wallonia’s. The region has a long history as a centre for industry, especially steel, glass and chemicals. Even today, Belgium as a whole ranks number one globally in terms of the size of its chemicals industry per capita. It’s of great importance on a local level: jobs in the chemicals industry total 26,400; that’s more than a fifth of total employment in industry. In terms of trade, the industry is a net exporter, accounting for more than a third of exports, or €15.2 billion. When Ernest Solvay developed his eponymous ammonia-soda ash process to produce sodium carbonate – a component in a range of industries from glass-making to paper production – this was just one of the first steps to put the region’s industry on the map. From the development of one of the world’s wealthiest multinational companies, the region is now gaining recognition for its development of green chemistry along with crucial investments, in accordance with internationally recognised standards. 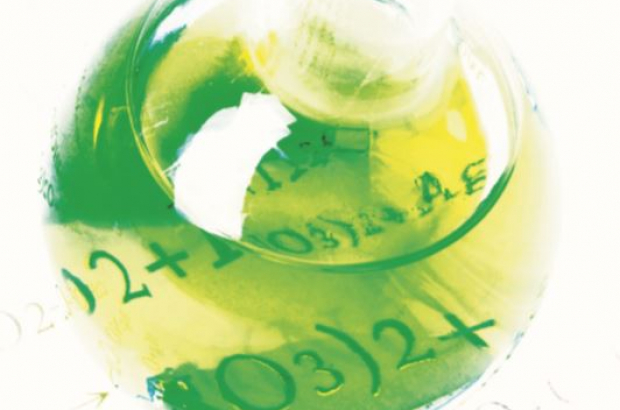 Green chemistry is nothing particularly new. It’s based on 12 principles developed by Paul Anastas from Yale University about 25 years ago when he worked for the US Environmental Protection Agency. In simple terms, it’s about minimising the use of energy, cutting back on raw material use and reducing waste. These 12 principles have been adopted by Unesco and other supranational organisations such as the EU, which has dedicated funding for research and development in the field. The European Commission, the EU’s executive, has also set up a programme of regional demonstration models to promote the development of green chemistry and allow the EU to showcase technologies and processes to the rest of the world. In 2016, Wallonia was one of six regions selected from 28 applicants to be a ‘model demonstration region’. This means it receives funding (in 2016, it was awarded €245,000) and advisory support from the European Sustainable Chemicals Support Service. The aim is to encourage investment in sustainable chemical production in Europe and to contribute to the development of a circular economy where materials are fed back into the production system rather than winding up as polluting waste. “Supported by the authorities, Wallonia shows the way for green chemistry,” says Frédéric Druck, chair of industry association Essenscia, adding that the selection of the region as a demonstration model “underlines the immense potential of our region for the development of green chemistry”. There are several features that make Wallonia such a hub for the chemicals industry. Aside from its historical greats, it maintains sizeable steel and pharmaceutical industries, which have funded much research into the development of chemical skills. With a North Sea coastline and its central position in Western Europe, Belgium as a whole has also been a big draw for the major players in the oil industry. The Walloon government set up Greenwin, a partnership, or cluster, between companies, research centres, universities, business associations and the government, to assist in particular with priority industrial fields that offer a high rate of return on investment and drive the region’s international presence. According to Essenscia, which represents 750 companies or about 95% of the sector’s turnover, greenhouse gas emissions per tonne of product have fallen 77% in the past 20 years. Its goal is to advocate for a fair emissions trading scheme and to help companies meet energy-efficiency targets without jeopardising profit. Such a scheme is a platform on which heavy polluters can trade emission allowances with other companies, incentivising reductions in climate-harming gases. While advocating for an optimum economic advantage, the association says the industry has seen an increase of just 31% in energy use since 1990 while production has tripled. The use of coal in energy-intensive industries has been phased out completely, while petroleum as a fuel has been reduced to 1%. About 99% of petroleum used by the sector has been converted into higher-value materials, meeting a goal of the circular economy. More recently, the use of highly contaminating nitrogen and phosphorous emissions have decreased by almost 80% since 2001. For the government, these are all steps in the right direction. “Conventional industry is clearly part of our past but thanks to these innovation clusters, Wallonia is ahead of the game and building her future with confidence and lucidity,” says Graff at Greenwin. For the future, the industry remains ambitious. According to Graff, a primary goal is supporting universities and research centres with a view to developing international partnerships and European projects. This goal will largely depend on the European Commission’s Horizon Europe R&D programme, which will be the successor to the Horizon 2020 programme and will have €100 billion of funding up for grabs for research and innovation programmes across the EU. This, says Graff, is “clearly our main playground to achieve that target”. Sells wine closure solutions globally while striving to minimise its carbon footprint, enable recycling and produce corks and caps that are safe, clean and regulatory-compliant. The company, a world-class leader in this sector that punches above its weight as an enterprise with just 550 employees, aims to use natural raw materials and plans to use only glue-free sustainable wine closures for still wine by the end of 2018, thus meeting a goal of the 12 principles to cut down on solvent use. A biotechnology firm that specialises in lactic acid fermentation and provides natural solutions to the food, feed and cosmetics industries among others, with a strong emphasis on green chemistry. The company started operations in 1994; by 1998, it was the world’s second largest producer of lactic acid and lactates, exporting to more than 40 countries. The company has achieved economic success while maintaining its vision to develop solutions that are best for nature and mankind.